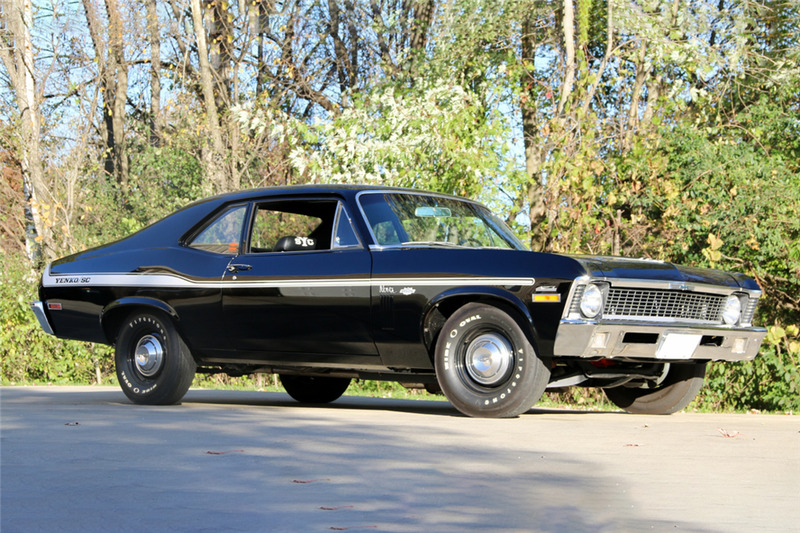 This 1970 Chevrolet Yenko Nova re-creation was the recipient of a comprehensive restoration and has seen minimal miles since. 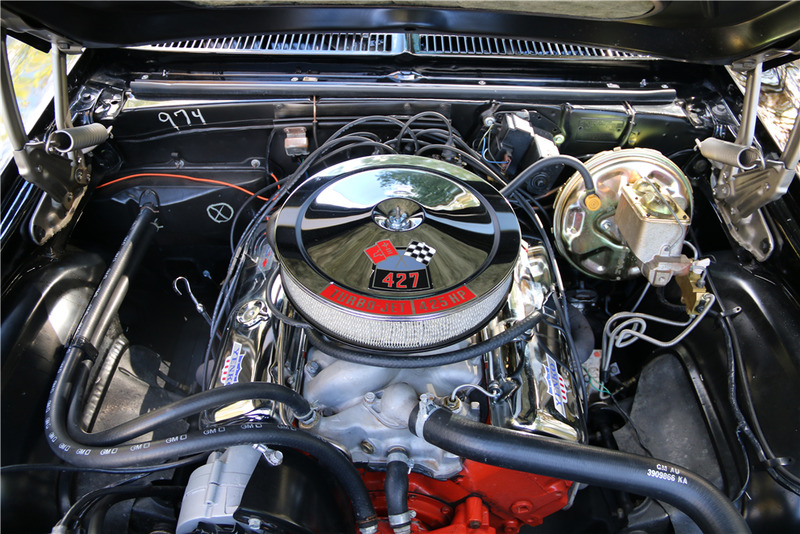 It’s powered by a GM 427/425hp big-block engine with ceramic-coated headers, backed by a Muncie 4-speed manual transmission that transfers power to a 12-bolt rear end with 4:11 gears and posi-traction. Power brakes provide the stopping power. 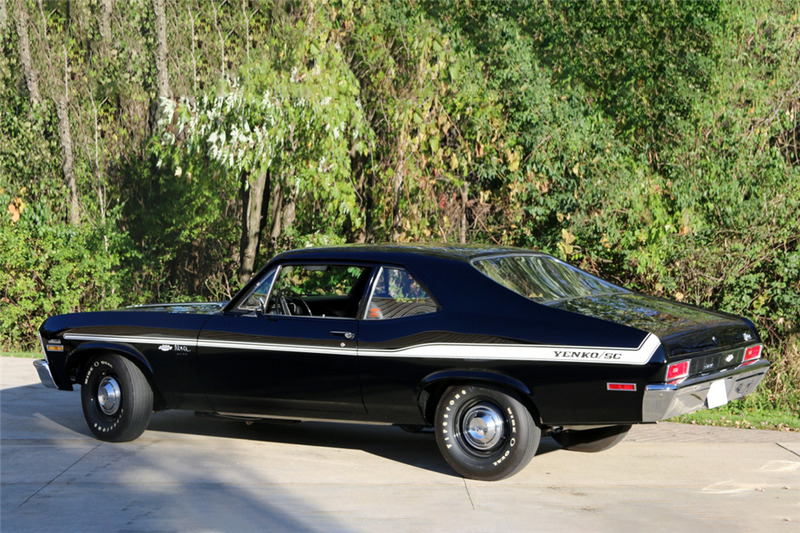 The exterior shows well in professionally laid black paint with upgraded Yenko striping, arrow-straight sheet metal and correct gaps. 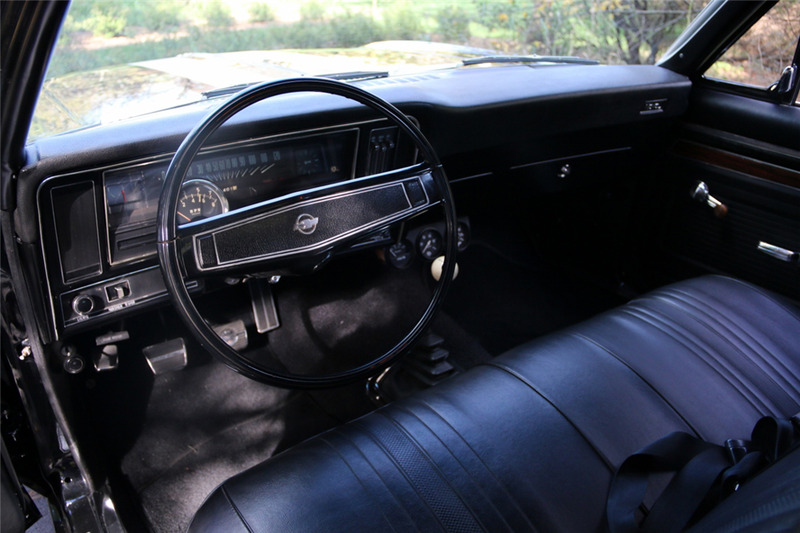 The interior is all new, and features only the essentials, including an 8,000 rpm tachometer. This Nova rides on a set of steel wheels with dog-dish hubcaps wrapped in Firestone wide oval tires to complete the retro look of 1970.